The NHS Services, Seven Days A Week Forum has reached a significant milestone, with each of the five work streams reporting on their initial findings. The remit of the work streams is to consider seven day a week provision in urgent and emergency care and in diagnostics. • Clinical Standards – led by Mrs Celia Ingham Clark. • Organisational development and Workforce – led by Raj Bhamber. • Commissioning Levers and Incentives – led by Dr Mark Spencer. • Provider Models – led by Mark Hackett. As their work continues, the NHS England website will carry interviews with each of the work stream leads in the coming days as the Forum works towards a publishing its findings in the autumn. The work stream is developing a set of clinical standards for commissioners that will represent the minimum quality of care patients should expect to receive seven days a week. The standards are congruent with those of the Academy of Medical Royal Colleges. “We are trying to make the standards generic, rather than apply to just one speciality,” explains Mrs Ingham Clark, saying of the challenges her team is finding: “There is a tension between clinicians and managers where they both have the desire to offer patients better care and services, but know there may be an inherent additional cost to doing this. Is Mrs Ingham Clark confident that seven day services can be turned into a reality across the NHS? “Yes, it has to be achievable,” she adds. “If I was ill I would want to see the consultant every day, and I would want any tests done on the day they were due or when they needed to be done, not have to wait because it is the weekend. And if I want that for me, I want it for all my patients as well. “It will make a difference to outcomes and it could be the difference between whether someone lives or dies. “By reorganising the way we work, beds can be freed up at weekends and it can make a big difference to the staff too, since Monday mornings become much less frantic. Mrs Celia Ingham Clark was a consultant general and colorectal surgeon and then Medical Director at Whittington Hospital NHS Trust. In 2010 Celia was appointed Associate Medical Director for Secondary Care, NHS London. 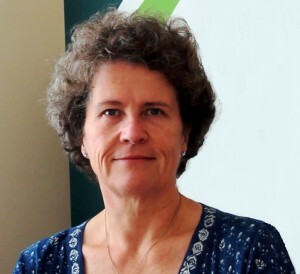 With her interest in using service development to improve quality of care, Celia chaired the clinical expert panel for the emergency general surgery work stream of London’s acute care Quality and Safety review from 2011 to 2013. She now works with NHS England as National Clinical Director for Enhanced Recovery and Acute Surgery and in London region as Medical Director for Revalidation and Quality. She is also currently a member of the Association of Surgeons of Great Britain and Ireland Emergency Surgery special interest group. Earlier this year she was awarded an MBE for services to the NHS.